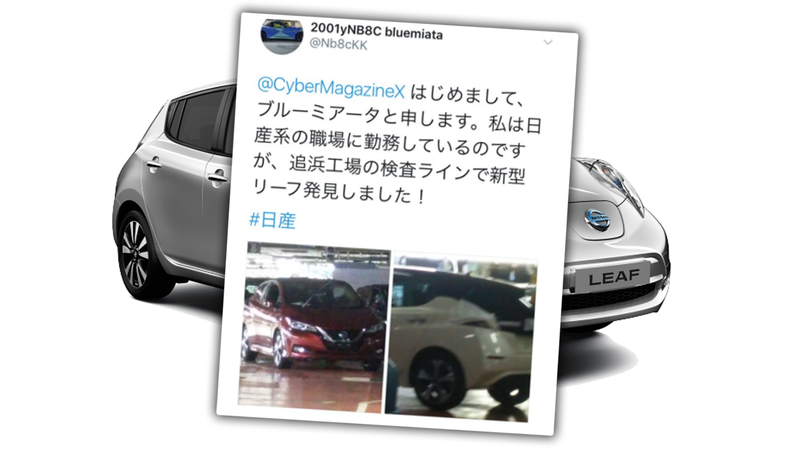 Now, I can’t say that our audience has exactly been hounding us for images of the upcoming redesigned 2018 Nissan Leaf, but leaks of yet-to-be-seen are always exciting in their forbidden way, so we may as well have a look at this one, which is unusual in that it seems to be a leak right from the factory. Hello, My name is Blue Miata. I work for a Nissan workplace, but I found a new type leaf at the inspection line of the Oppama factory! The new Leaf is scheduled to be revealed in almost exactly a month, on September 7. The new Leaf is expected to have a 200-300 mile range and Nissan’s most advanced semi-autonomous system to date. While these images show a car that’s clearly an improvement over the current Leaf, that’s not exactly a difficult bar to clear. These images show a new Leaf that looks a bit better, but is hardly something remarkable, and could be easily lost in almost any box-store parking lot in a matter of minutes. This is not the face of a Tesla-slayer. Really, it’s almost the face of a Sentra.